The wiry guy. The skinny guy. The nerd. Does this sound like you? If you’re sick of getting picked on and passed over because you look like a stiff breeze could blow you down, you’re in luck. This article will teach you some natural, healthy ways to pack on muscle and get the attention you deserve. Organic beef is an investment in your health because it doesn’t contain any unnecessary chemical additives, pink slime, hormones, or antibiotics. No need to go for the fancy stuff like New York strip. You can get all the protein you need from a few chuck steaks or a package of ground beef. Remember to change up your protein sources daily so you get well-rounded nutrition. For lean protein, stick to white-meat chicken and turkey. Again, organic is best. The secret bodybuilding ingredient in chicken is called choline; a vitamin-like compound that increases your endurance and supports your nervous system. They say that bananas are quite possibly the world’s perfect food and that may be so when you’re talking about fruit. However, when it comes to bodybuilding protein, the eggs have it. Packed with 6 grams of high-quality protein and eight essential amino acids, eggs have all you need for optimal muscle building and recovery. Men with high cholesterol should limit their intake of eggs to one per day at most. You may think dairy products such as hard cheese, yogurt, milk, and butter seem like a great way to add love handles, not muscle. Not necessarily true. Dairy products are a good source of healthy fat and protein, so long as you’re eating the right kind. Read your labels and steer clear of “cheese products” and other chemically-enhanced dairy products. Opt for organic and natural products if you can. Vegetarian bodybuilders can pack on muscle with this protein-rich food. Just half a cup of dried cooked beans contain as much protein as an ounce of broiled steak. Beans stabilize your blood sugar, keep you full, and give you the energy you need to endure long, hard workouts. When you’re trying to pack on pounds of muscle, you need to get the bulk of your nutrients from protein, fat, vegetables, and fruit. This doesn’t mean you shouldn’t eat carbs; just don’t load up on them. Training on an empty stomach can lead to dizziness, fatigue, and muscle destruction. To build muscle fast you’re going to need to eat every 2 ½ – 3 hours. No need to eat until you’re stuffed but you shouldn’t let yourself get too hungry either. Remember, the more you eat, the faster your metabolism. Glutamine – Over 60% of your muscle is made up of this amino acid. When you’re doing intense training, your body uses it up fast. Help replace it and repair muscle damage with a glutamine supplement. Creatine – A combination of 3 different amino acids (glycine, arginine, methionine), creatine helps hydrate muscles and helps improve muscular performance during hard training. BCAAs – BBCA stands for branch chain amino acids and they help improve the way your muscles use fuel during workouts. They also help improve your body’s ability to recover after a hard workout. The key to packing on muscle is training the right way. You’ll need a combination of cardio and strength training to really bulk up fast. Light weights with lots of repetition give you a lean, runner’s body. Great way to work out if that’s the look you’re going for. If you want to really pack on the muscle, you’re going to have to do some damage. That’s why you’re going to need those amino acids and supplemental protein sources. 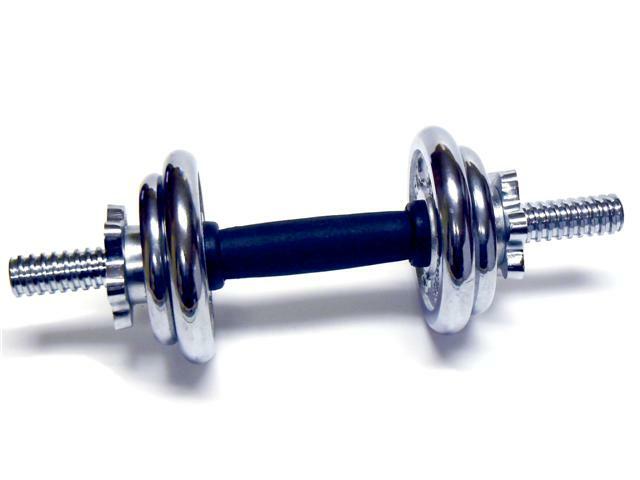 To really beef up, you’ll need to need to get some heavy weights and do some hard repetitions. The “no pain – no gain” theory definitely applies here. Pick one muscle group and train it hard one day, then pick an entirely different muscle group and work it hard the next. If done correctly, you shouldn’t need to work a muscle group more than once per week. The countermeasure used in hard training is rest. Since you’ll be intentionally wearing out each muscle group to a degree during each high-intensity session, you must be sure to rest them equally. You need to give your muscles time to repair and grow to achieve success. If you train hard one day, you can give your muscles a chance to rest by doing recuperation exercises. This can help increase your endurance and keep your muscles limber. Low-intensity cardio exercises such as swimming, cycling, jogging or climbing are great as long as you can keep your heart-rate below 120 beats per minute. You don’t want to take too much energy away from your strength-training workouts. When intensity and volume is low, you’re getting good exercise without taking away from your muscle-building efforts. A favorite staple of bodybuilders, squats can bulk up your legs and thighs fast. To do squats properly, you need to keep your back arched from the time you lift the weight from the ground to the time you rack it up. Look straight ahead or if you can, tilt your head slightly upward. Keep your feet spread wide apart and your chest open. The number of reps you do will depend on your fitness and experience level. Don’t overdo it straight out of the gate. Give your body time to adjust and work your way up to more intense training. Bench presses need to be done the right way if you’re going to bulk up your chest area and build some solid pectoral muscles. Bad form includes adding too much too fast, squirming on the bench and dropping the weights on your chest. If you want muscles instead of bruises, start out smaller! You don’t want to clothesline yourself and end up in the hospital. Eventually, you can brag about how much you can bench. First, you need to learn how to do it right. The trick is to lay flat on your back and keep your body there. Remember, you’re trying to lift with your chest, not your whole body. If you’re lifting off the bench, you’re adding too much weight. You should be able to gently touch the weight to your chest before lifting it very slightly toward your head. If you lift toward your feet, you’ll find the weight feels much heavier. Push with your chest muscles. After all, those are the ones you’re trying to build! Deadlifts have been used by bodybuilders for decades to pack on muscle. To do the technique correctly, stand with the bar at the center of your feet, grab the bar overhand, bend through your knees, lift your chest and pull upward. To really understand the proper technique and not injure your back or knees, read this guide. 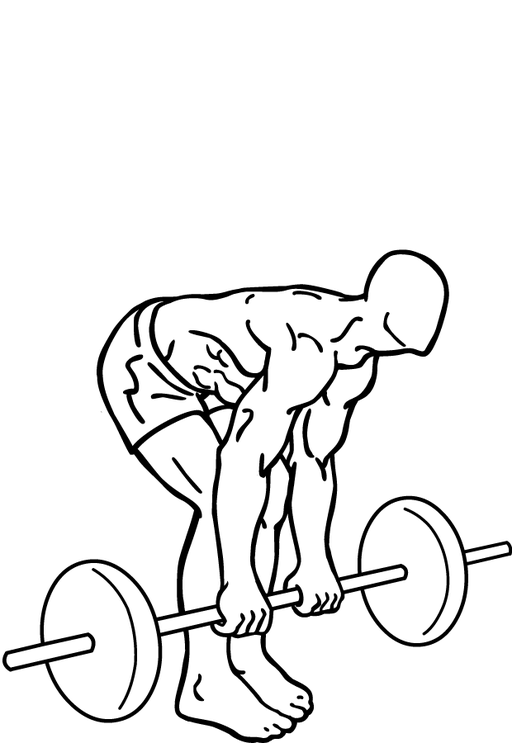 For a visual, check out this barbell deadlift gif. Straight-leg deadlifts are similar to deadlifts only instead of bending your knees you keep them straight. This technique is designed to strengthen and pack muscle in your hamstrings. The key to doing this lift successfully is to keep the bar over the top of your feet, close to your legs. Men with tight hamstrings may not need the added challenge of a standing platform. To see this technique done properly, click on this straight-leg deadlifts gif. The military press works your front deltoids and really fills out your shoulders. To do this technique properly, grasp the barbell from the rack with an overhand grip. Position the bar in front of your neck. Extend your arm overhead until arm is completely extended. Lower to neck and repeat. For men who prefer visuals, check out this military press gif. Guys, if you’re wondering how to get muscles without resorting to dangerous chemicals, this combination of diet, supplements, and hard training can get you where you want to be. Even skinny guys can pack on pounds of muscle in a short amount of time. Remember to start small and work your way up. Too much too soon can wear your muscles out and leave you too sore to keep going. If you take prescription medication or have any serious medical condition, consult with your physician before beginning a bodybuilding program. Don’t be known as the wiry guy anymore. If you get started today, you’ll be well on your way to turning her head in no time! Want to put on the muscle even faster? Try our top recommended supplement for men: Deer Antler Plus Muscle Builder!